Thank God it is non-venomous. I do not mind snakes, they are kind of cool critters. Have a great weekend, Misty! we get lots of snakes here w/ our pond. sadly the majority are moccasins and copperheads which are venomous. Like Tammy, I am not really afraid of snakes, although I usually jump a mile when I first see one. I quickly get over that and then watch to see what they are up to. 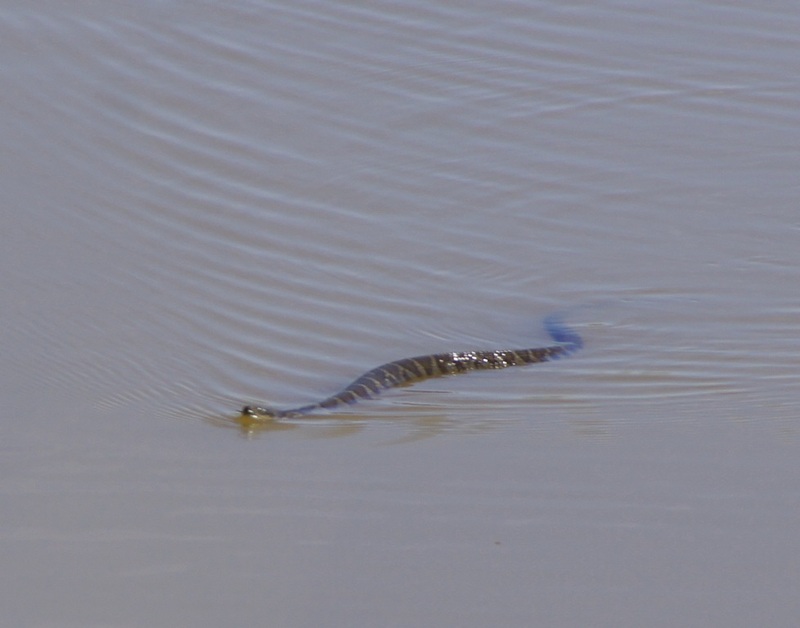 Eeuw, a swimming snake is even creepier than a snake in the grass. You got a good shot of a big snake. I hope you never swim in that pond. I don't mind snakes as long as they are only on my computer screen :) That is a fantastic photo and very detailed. I think snakes are pretty cool critters. Since I'm not that knowledgeable about them I have a healthy respect for their space. Luckily, we have very few venomous snakes in our area. Good photo! Snakes in water are a little creepy to me, but generally I like them. 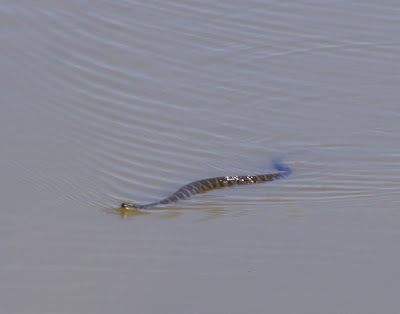 That is a wonderful shot of your water snake. He's a big one for sure. I don't have an aversion to snakes and have always found them fascinating and even beautiful ever since I was very young and used to look at them in the reptile houses at the zoo. Now if I see them in the wild I love to photograph them but haven't had these opportunities but rarely. I find snakes interesting-as long as I know they are not venomous. We see them occasionally around our place...usually the harmless ones! Ewww, ewww, ewww!!! Are you trying to give your BBFF nightmares?